An enduring difficulty we are forced to live with in Japan is lack of space. Particularly if you’re living in the city, undoubtedly this is a problem you are directly affected by. Small, one room apartments can sometimes feel like a prison – what can we do to mitigate this feeling? At on2architects, we are constantly striving to find innovative and beautiful ways to maximise the available space in your home, or at the very least ensure that you feel comfortable in your home. Let’s start at the beginning. When you enter your home, you’re likely to be greeted by a dark and narrow entranceway, where you clumsily shed your footwear, pause and sigh, before stepping into your abode. These awkward first few steps are far from a warm and welcoming introduction to your home! 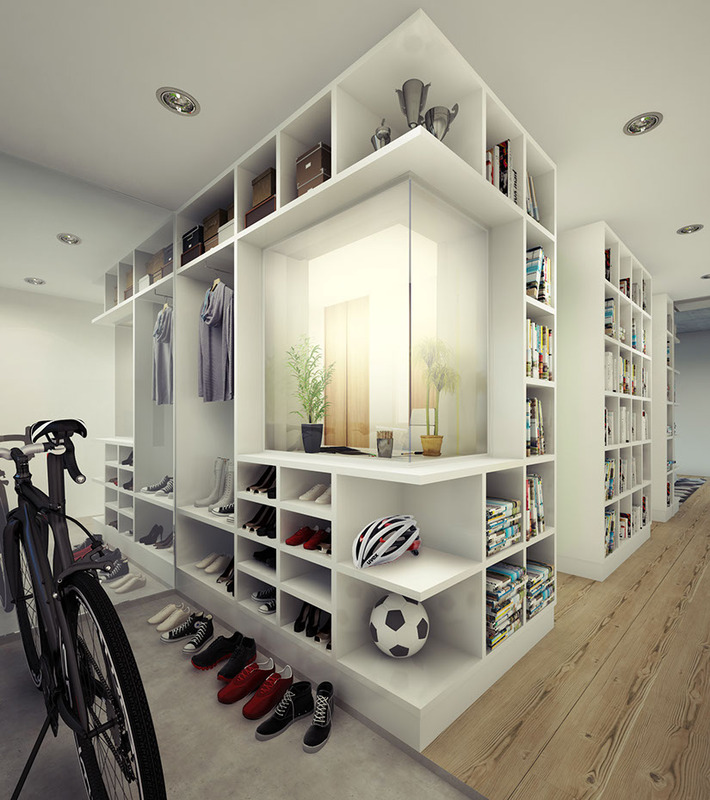 Although there is no substitute for more space, there are a few solutions. A mirror finish to one wall is one proposal. This doesn’t only erase the wall, it also creates the illusion that there is more space – the reflection effectively doubling the perceived space. Furnish the remaining walls with bright, fresh colours and natural materials, surround yourself in a soothing, cozy atmosphere and conceal storage spaces wherever possible to avoid clutter. For an example of this, take a look at the House Within House, the perfect example of how to make more from less.